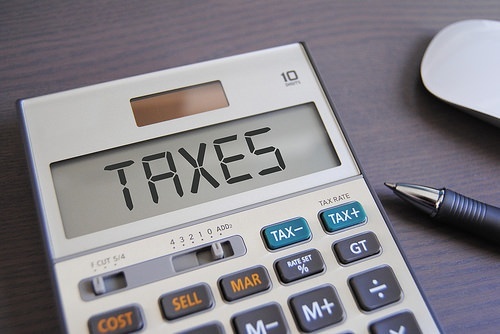 The Tax Court of Canada ruling in Sud v. Canada (2017 TCC 106), reinforces the saying “a little knowledge is a dangerous thing” for directors trying to mitigate their personal liability for tax remittance risk. Arun Sud was advised to incorporate his courier business by his employer for tax reasons. He incorporated 1186271 Ontario Inc. (the “Corporation”) under the laws of Ontario on June 21, 1996, and operated the business as its sole director and shareholder until it ceased operations in August, 2005. GST collected was owed for the period from January 1, 2003 to December 31, 2005. In November 2006, the Corporation was assessed for unpaid GST and it filed an appeal of the assessment in the Tax Court. In February of 2010, a consent agreement was filed with the Court in which the Corporation was to pay $36,363.28. This amount was never paid. On August 1, 2014, Sud was assessed $17,298.32 of the Corporation’s unremitted GST as the Corporation’s director and he filed his appeal to the Tax Court. He argued that he had not acted as the Corporation’s director since it had ceased operations in 2005 and that the assessment in 2014 was outside the two-year limitation period for assessing director’s liability in s. 323(5) of the Excise Tax Act. He also argued that since no annual corporate returns had been filed since 2005, he believed the Corporation would be automatically dissolved after two years. In fact, the Ministry of Finance of Ontario by Notice of Dissolution effective October 24, 2016, dissolved the Corporation, at which point its certificate of incorporation was cancelled. The Tax Court noted that the two-year limitation in the Excise Tax Act only begins to run after a person “last ceased to be a director,” and therefore, the question was whether Sud ceased to be a director before the date of his assessment. It held that that issue was determined by the rules in the applicable corporate statute, which, in Ontario, would occur on the director’s death, resignation, removal or disqualification. The Court held that the first and the latter two rules were not applicable in this case. The Ontario rule regarding resignation required the corporation must receive a written resignation in order to constitute an effective resignation. Sud had never submitted such a resignation. The Court rejected the argument that Sud had ceased to be a director because the Corporation had ceased operations, relying on an earlier decision, Bremmer v. R., (2007 TCC 509), finding that a director’s duties continue after the corporation ceases operations. The Court also noted that even if Sud had submitted a written resignation, it may not have been effective because the Ontario statute required the corporation have at least one director, so in order for Sud to resign, another director would have had to be appointed or elected. Accordingly, the Court dismissed Sud’s appeal. In another decision by the Tax Court of Canada, Grant v. Canada (2017 TCC 121), Christopher Grant, a director of RII Holdings Inc. (the “Corporation”) was found liable for unremitted source deductions, interest and penalties of $ $66,865.44. The Corporation that had made the deductions had become bankrupt and its assets were taken over by a bankruptcy trustee August 1, 2006. The assessment against Grant as a director was made in May 2012. Grant claimed that he had ceased to be a director when the Corporation became bankrupt and the bankruptcy trustee assumed control of its assets in 2006, well beyond the two-year limitation period for assessing directors after they cease being directors. The Court held that bankruptcy did not terminate a director’s status as a director of the bankrupt corporation, despite control being asserted by the trustee. The Court held that the only legislation governing how a director ceases to hold office is the relevant corporate legislation, in this case the Ontario Business Corporations Act (OBCA), which requires a written resignation be received by the corporation in order for a director to effectively resign. As no resignation had been submitted, the Court found that Grant was still a director and able to be assessed for the liability for the source deductions. Ronald Davis is an associate professor emeritus at the Peter A. Allard School of Law, University of British Columbia. He obtained his Bachelor of Laws degree from the Faculty of Law, University of Toronto in 1990, graduating as that year’s silver medalist. He was called to the Ontario Bar and practiced law in Toronto for 10 years before returning to graduate studies at the University of Toronto.